Foundation – Born in Lanarkshire, Scotland, I lived my early years in a town thirty miles north of London before returning to Scotland to graduate with an LLB from Edinburgh University. In the 90’s I moved with my family to British Columbia. Family – I have a daughter who works in design and engineering (don’t know where those skills come from). She lives with her husband and two young daughters in B.C. I am fortunate, my son, his wife and baby boy, also live locally and he works in the addictions field. 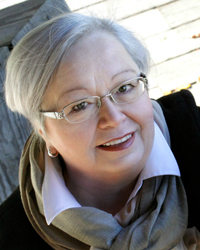 Career – I have worked in the social services sector: holding senior positions in the Provincial government, community-living for people with disabilities and in a national not for profit organization. A passion for story-telling, and for reaching out to the public—in both narrative-form and at the front of a room evolved. Writing – Now a consultant, I help agencies to express their beliefs and policy. This includes writing for the web, developing policy documents, creating funding applications, and producing formal studies and reports. In 2012 I began to write fiction—determined to write novels which are liberally peppered with humour and that reveal my abiding interest in history and social justice. 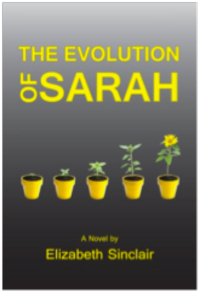 The Evolution of Sarah tells the story of a woman who is hesitantly ambitious and is driven to find meaning in life. (Here, I am tempted to use bold for the word meaning). At first glance, she has an inauspicious background from which to launch an existential exploration—born to working class parents during the 1950s and in the industrial heart of Scotland. As the story progresses, the reader is taken on a journey during which one potential virtue or life-purpose has to be dismissed. Poverty – nope. Chastity – nope. Fidelity – nope. Sarah sets her sights on a law career but through circumstances rooted in her relationships, she gives up the ambition to join that particular elite. In the second act Sarah’s life is a train-wreck. She experiences the traumatic breakdown of her marriage, addiction on the part of her son and the attendant therapy sessions. As she climbs out of the wreckage, she becomes the hero of her own story. The reader experiences her reconciliation to a simpler, more stripped-down ambition in relation to her quest for meaning. In the end Sarah travels back to Scotland, to New Lanark—her touchstone. This place is her link to the Scottish Enlightenment and to those antecedents on whose shoulders she is able to stand. The story is populated by a host of interesting characters—among them, a subversive childhood friend, a cousin who feels the need to pass Sarah off as a Roman Catholic, and a charming but deeply flawed husband. 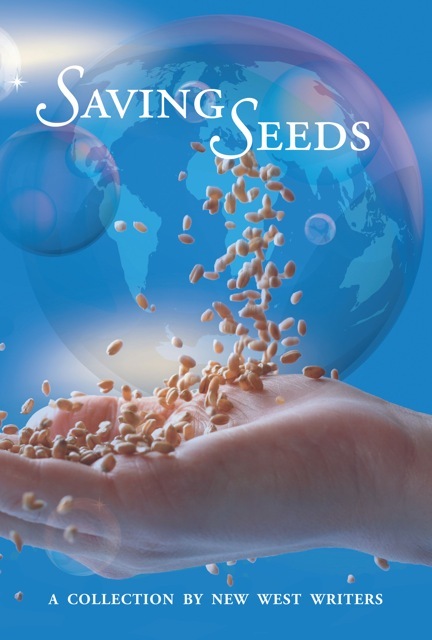 In spite of the weighty concept, the writing style is light, witty and often sarcastic. Readers have been reminded of David Sedaris or perhaps David Mitchell the English wit.